We’d love your help. 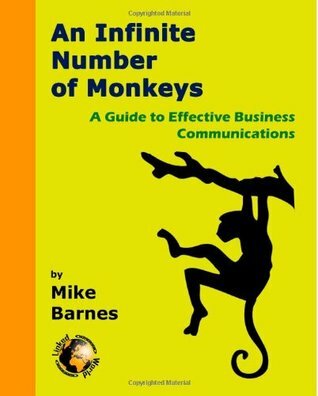 Let us know what’s wrong with this preview of An Infinite Number of Monkeys by Mike Barnes. To ask other readers questions about An Infinite Number of Monkeys, please sign up. Mike Barnes has worked in the telecommunications industry since leaving university – initially as a designer of intelligent voice networks, then in a technical sales role, before moving into consultancy. His years of experience in designing, selling and maintaining voice, unified communications and collaboration systems give him the ideal background to talk passionately and knowledgably about the Mike Barnes has worked in the telecommunications industry since leaving university – initially as a designer of intelligent voice networks, then in a technical sales role, before moving into consultancy. His years of experience in designing, selling and maintaining voice, unified communications and collaboration systems give him the ideal background to talk passionately and knowledgably about the role of communications systems in today’s business world.